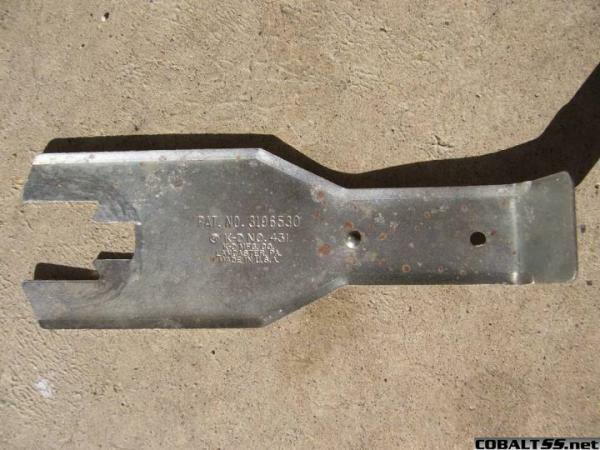 1) a window crank remover. 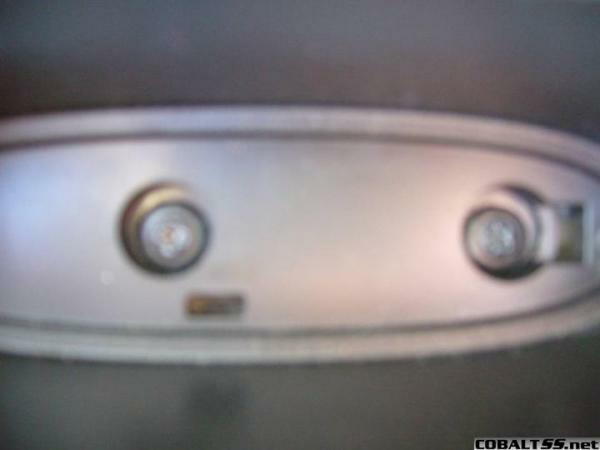 2) a door panel from an LT or SS model. 5) you will also need a power window regulator and a wiring harness which includes the power window and tweeter options. (regulator and motor come as 1 unit) I dont' have any good pictures of them but I have pictures of my original parts as I go. 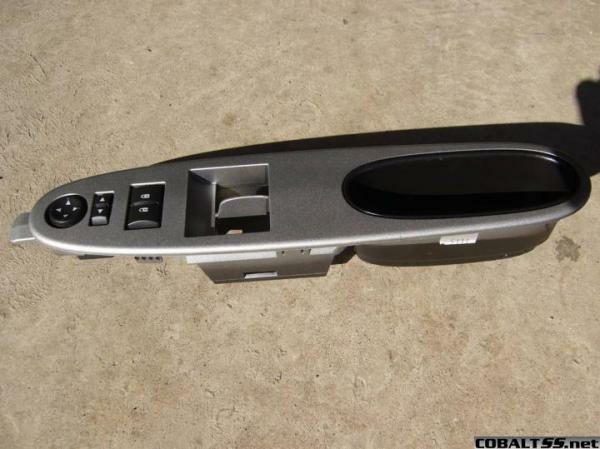 6) lastly, you have to purchase an aftermarket power window kit on ebay. Buy the cheapest one you can find because you are only going to be using the wires from it. 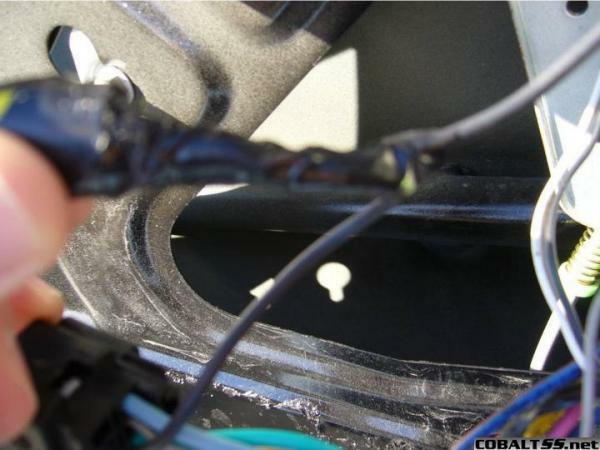 To start taking the door panel off, use the window crank remover and remove the crank. Next, remove the 2 srews in the bezel and the 1 by the handle. You also have to remove the bezel that goes around the manual mirror adjuster. once you've done that, just pull upwards on the door panel and it should come off easy. 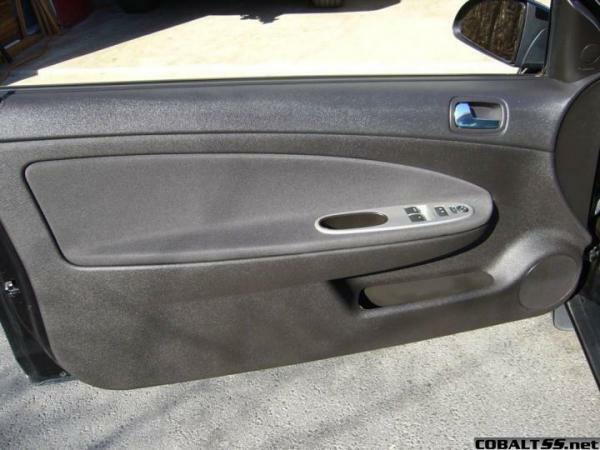 then completely remove the plastic cover from the door. 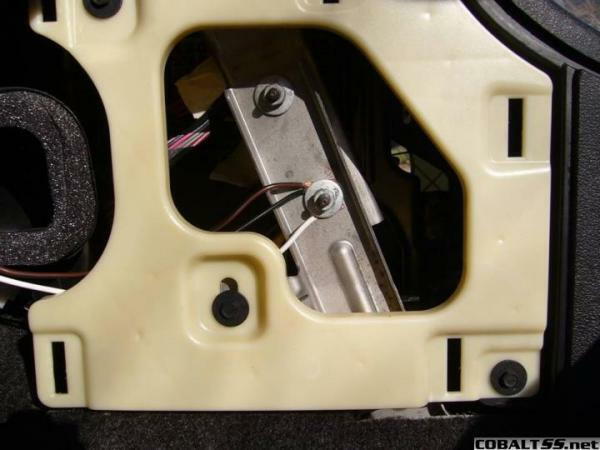 Start off by removing the manual window regulator. you have to take the glass out before you do this and the glass is clamped in 2 places. The regulator itself is bolted down in 4 places. Remove the old one and install the one with a window motor. 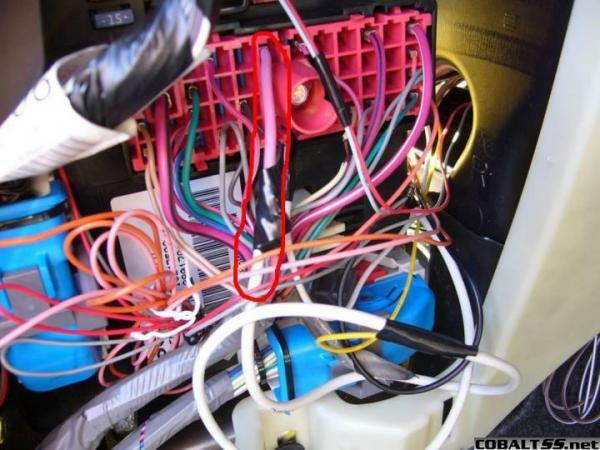 Remove the old wiring harness and install the one with all options. 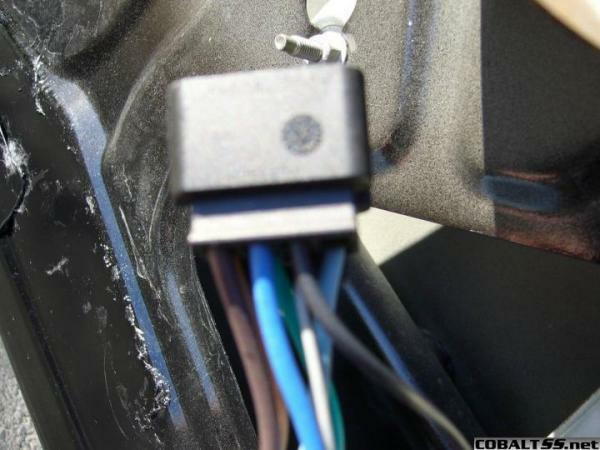 Unless you were fortunate enough to get power locks in your base model, the harness should only have one wire which is plugged into the speaker. This is also a good time to install the pioneer speaker if you plan on doing that. You have to run the wires through this harness so separate the blue plug from the end of the harness and push it inside the door jam. Make sure it is plugged into its counterpart at this time so you don’t have to go back and do that. Cut all wires going to the window plug, EXCEPT the black one, about 6 inches from the plug itself so you have some wire to work with. The black one provides illumination from the factory wires inside the door jam, even if you didn’t get power locks. Don’t ask me why. Do the same for the plug that goes into the actual window motor. Unless you have the factory power lock option, you can cut and discard the rest of the harness except for the tweeter and speaker wires (they have blue plugs). 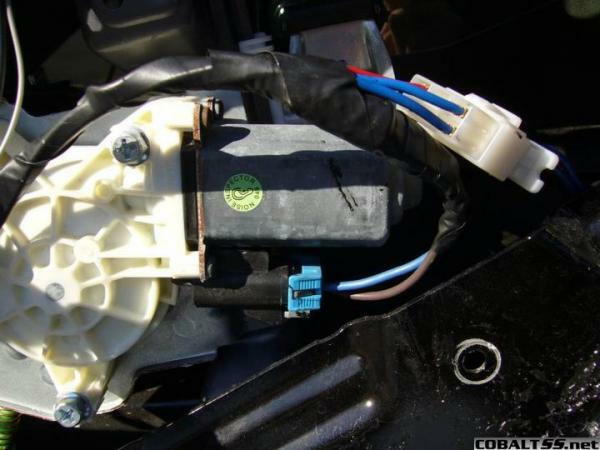 1) You can connect the red wire to the positive battery terminal under the hood and the white wire to the ground terminal on the driver’s side of the fuse box. 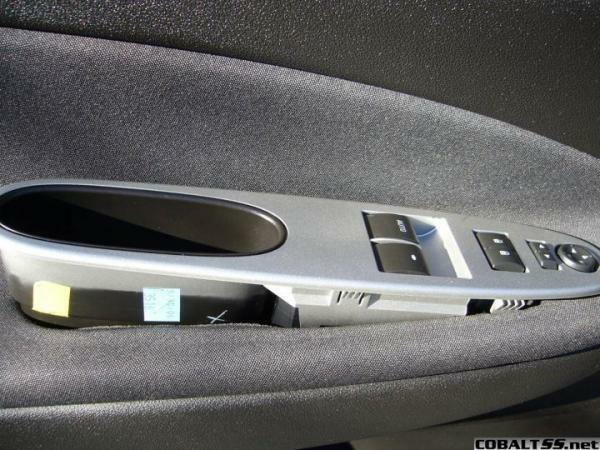 The advantage of this is that you can use your power windows even when the car is off. 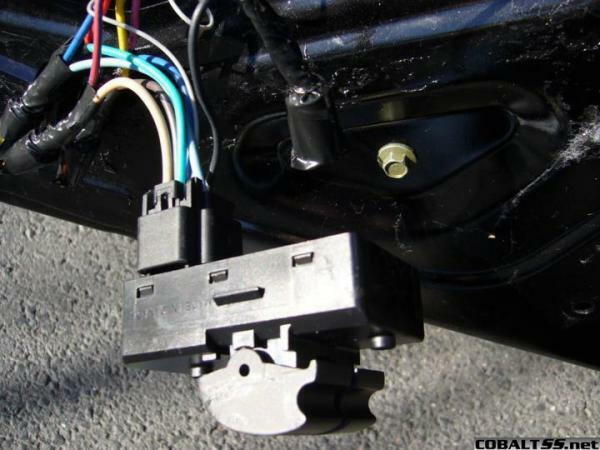 2) You can use the red wire to tap into the ignition switch and cut and discard the white wire. This is what I did because I didn’t want to worry about running the red wire through my firewall. 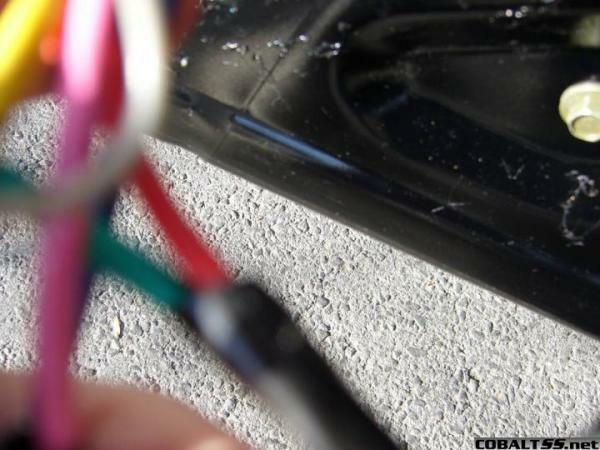 The ignition wire is the pink colored wire I circled in red. The reason why I have a white wire tapped into it is because the red wire wasn’t long enough and I used the white wire as an extension cord after I cut it. The instructions that came with your kit should say which wires go to the driver side and which wires go to the passenger side. 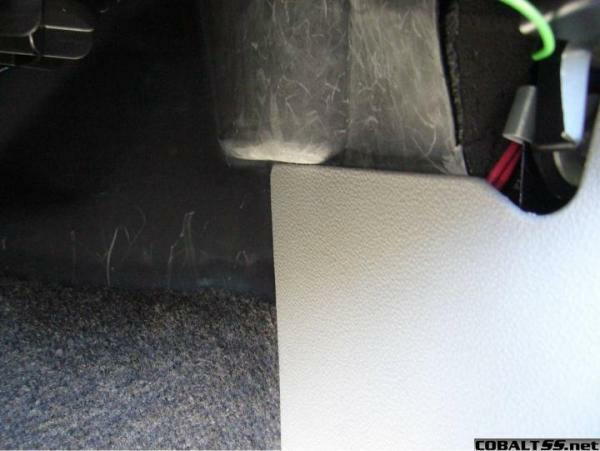 For the passenger side, run the wires underneath the carpet and behind the kick panel to the door jam. 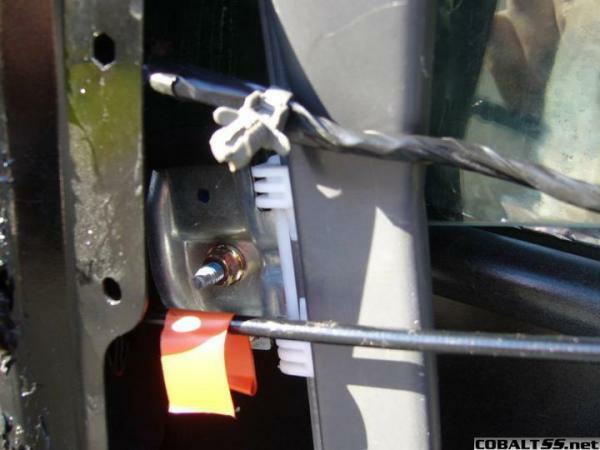 Run the driver side wires across and tape them up under the steering column panel. I decided not to run them under the carpet on this side because I was afraid that having my feet down there and pushing on the clutch would eventually wear them down. 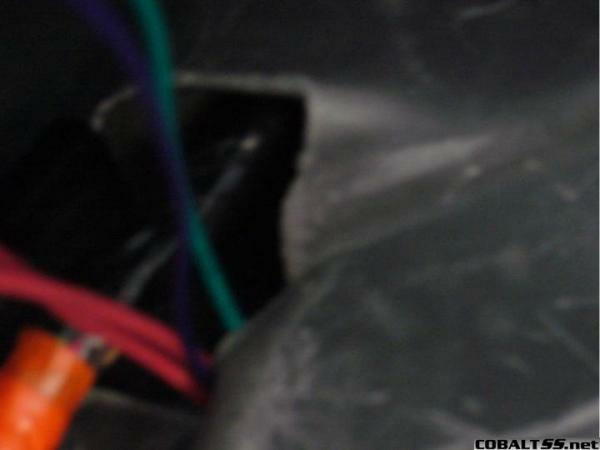 Run the wires through the cavity shown in this picture and into the door jam. This next part is very frustrating and requires a lot of patience. 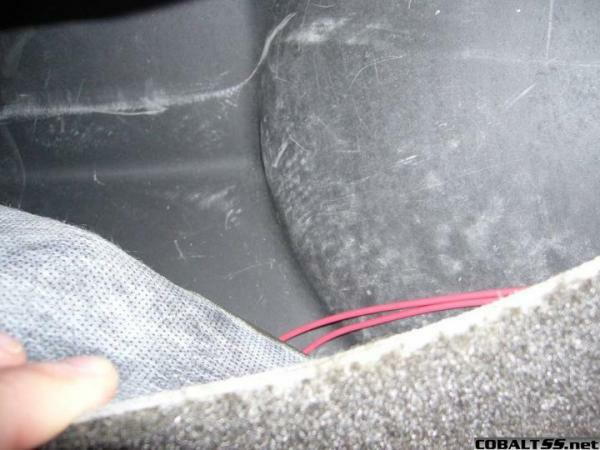 You have to run the wires through the rubber tube part of the wiring harness. There really is no strategy here; you just have to work the wires through. I said words while doing this part that I don’t really care to repeat so make sure no one else is around just incase you lose your cool. After you complete this step, kick back for a moment and have a beer. You deserve it! Now take the red wire (or the wire that provides power) and attach it to the GREEN wire on the factory power window plug that you cut earlier. Hopefully you didn’t cut the black wire from the factory harness. That is the only wire you don’t cut. As you can see I made that mistake and had to re-attach it. Put the factory motor plug into the window motor outlet. 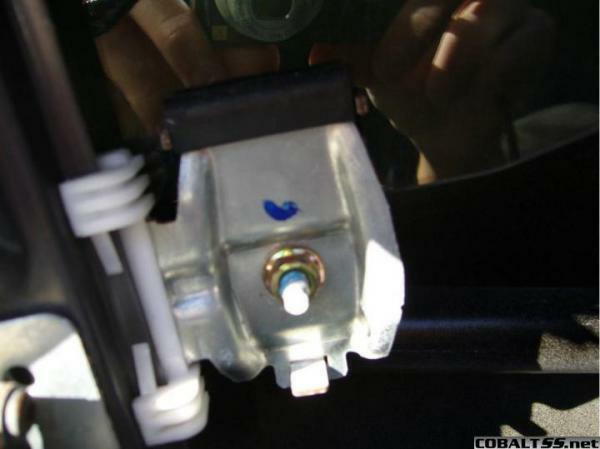 If your window kit came with a diagram, it should show you which 2 wires go to the motor. If not it should be obvious because these wires will be separate from the others. Congratulations! You’re DONE! 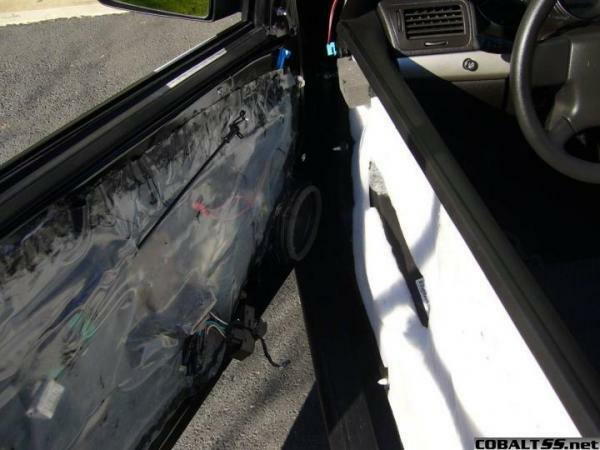 Now just replace the plastic covers and slap your new door panels on. The easiest way to put it on is let it rest in the position where it would normally be when the door is closed while you connect the tweeter and stuff. Make sure the window is all the way down. Attach the top of the door panel to the top of the door and make sure it clicks in by pulling it from the outside of the door. That’s why the window should by down. Pull the switch up through the opening before you completely attach the door. Now just snap the rest of it into place and put the 3 screws back in. Well I hope you enjoy being able to put your windows down effortlessly. I think the lesson here is: GET IT WITH WINDOWS!!! 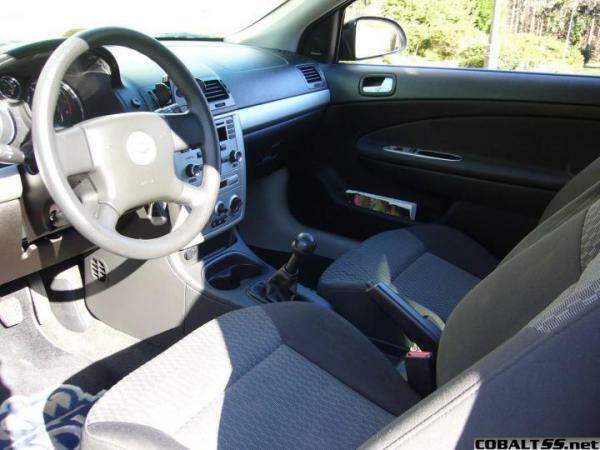 I’ve also made a few other modifications to the interior of my Cobalt including a silver dash trim. People think the silver stereo and the silver AC unit was pushin’ it a bit but at least it looks like an SS in there now. The seats were also a stretch but I got a good deal on them. The only obvious evidence that it was once a base model is that there are no buttons on the steering wheel. 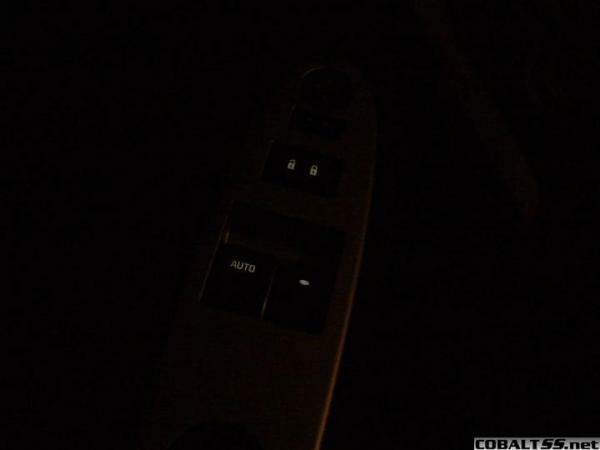 I might be adding cruise control in the future and use factory buttons for that though. Last edited by Double T; 12-17-2006 at 12:10 PM. Thanks ive been waiting for this. how much did the power window upgrade/mod cost? It cost me about $500 but I got half of my parts on ebay so I saved big. The parts on ebay obviously didn't all come up at the same time. I started shopping for parts in January, 2006 and I decided to bite the bullet around June and just order the rest new from gm-car-parts.com. If you order everything new in 1 shipment it will probably cost $800-$1000 at the most, depending on whether you order the speakers or not. It was worth it though. I've also added an aftermarket alarm but I used factory door lock motors. Last edited by Double T; 12-16-2006 at 03:12 PM. can you make a list of everything that is needed? nope, there sure isn't. I originally did not want to upgrade my door panels and add power windows. all I wanted to do was add tweeters. but one thing led to another and I decided I might as well go crazy with upgrades. but sometimes the tweeters break off and people sell them on ebay. 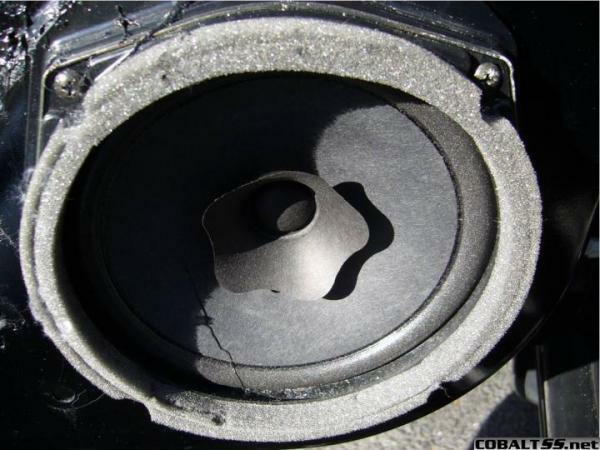 I actually have a passenger side tweeter from a cobalt if you are interested in that. 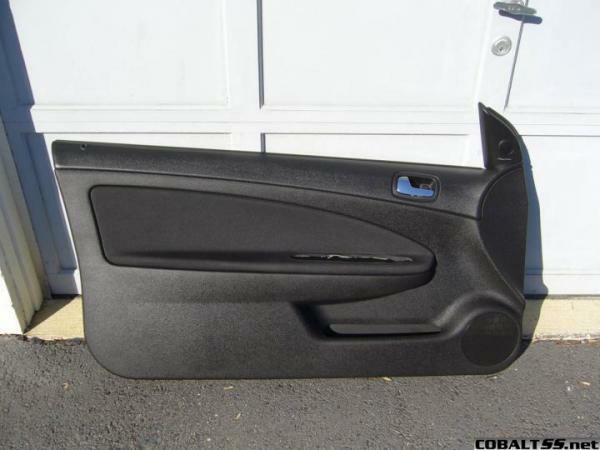 then just buy a driver side door panel on www.gm-car-parts.com for $175, break the tweeter off, and sell the rest of the panel on ebay. the door panels are $230 if you order from your local dealer so don't do that. also don't forget to get the wiring harness w/the tweeter option. and when you enter your vin number for ordering, make sure you enter the vin of a cobalt that has the tweeter option. just look on ebay and find one. otherwise they will send you parts for your cobalt which you already have. Awesome write-up. Good weekend project for me. Man the total is tallying up for my car now. HAHA! this is much easier done at a dealer bc it only cost 500 bucks getting it professionally done. no other cost at all. my dealer would NOT do it for me, nor would all the other dealers I phoned in my area. they don't even want to add cruise for me. they say they don't add anything electrical to cars. 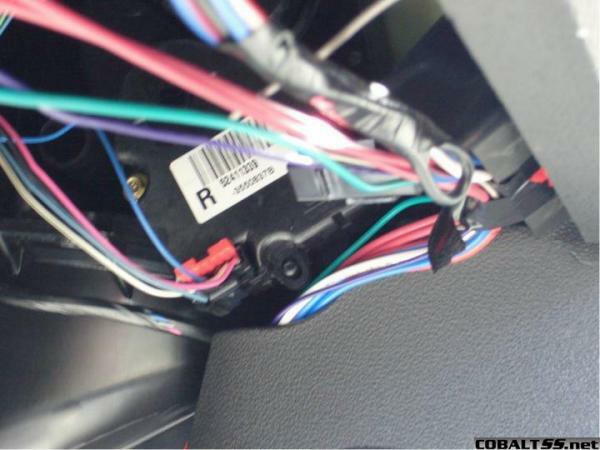 part # for the wiring harness? I actually didn't order the parts by part number. I went on ebay and took a VIN # from a Cobalt that had the options I wanted and ordered by that VIN number. 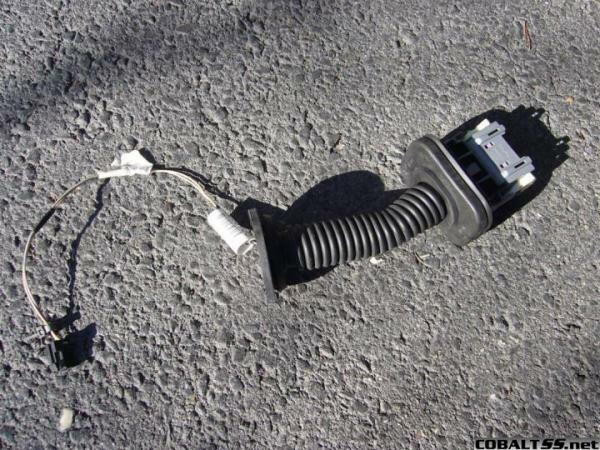 If you just need the wiring harness then just find a Cobalt with power windows and use that VIN. Thanks for the post man, I already bought G5 door panels and switch bezels which are a direct fit into our balts and there's a local gm parts garage that sells the wiring harness and window regulators that I will need. Which power window kit did you buy off ebay and what did you pay? I'm not quite understanding the "trial and error" of the wiring. i hope to coplete this project sometime soon because i looks great on your car. good work. 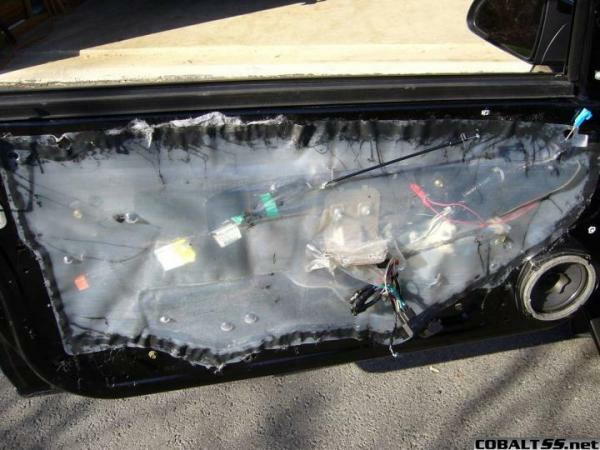 Any power window kit will work. Because you are just using the wiring from it, not the switches or the regulators. I bought the cheapest one I could find which was about 50 bucks. I will explain the trial and error part when you get to that part of the installation. It's hard to explain if you haven't tried to do it yourself yet. This is my 100th post! wooooo! do i need to get a wiring harness? 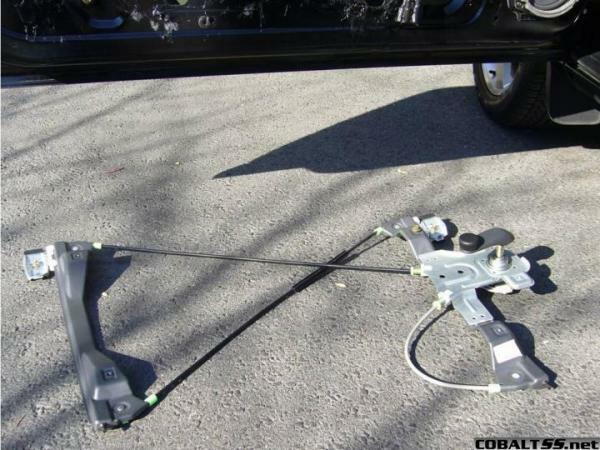 most likely yes, if you're serious about doing it, take off your door panel and chekc, if you have 4 plugs hanging from your stock harness then you will onlt have to buy the window regulators and motors... my guess is that you dont have them so you would have to get a new harness. the plugs you're looking for are the master switch window, lock/unlock, tweeters and power mirror plugs. 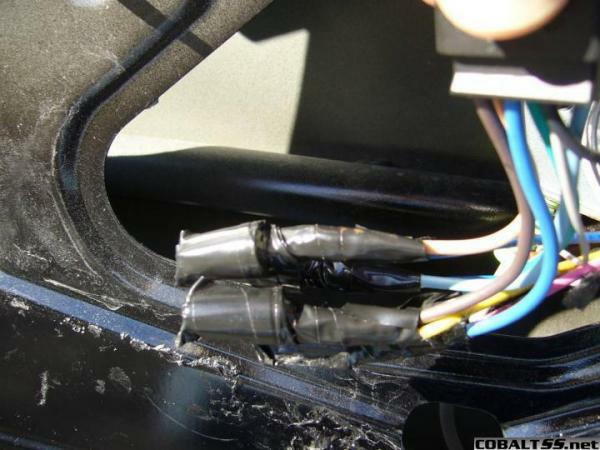 you probably dont have them coing out of your car body so they would have to also be hardwired. 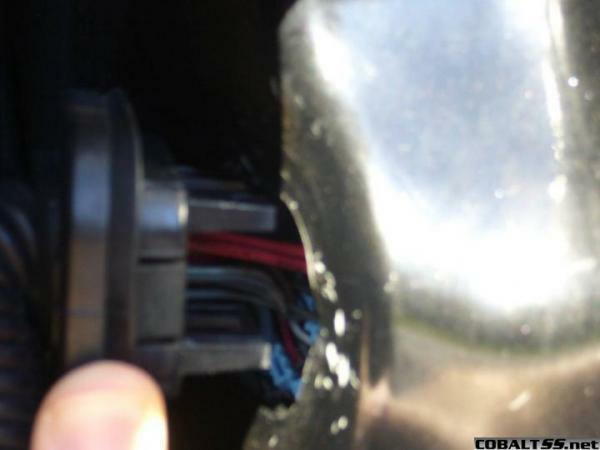 you can also check the number of wires going into the door jam from your body, above your clutch/brake pedal, if theres 12 or more then you possibly have the harness, but you probaly have 2 for your speakers and 3 for your locks + illumination, maybe another 2 if you have side airbags. 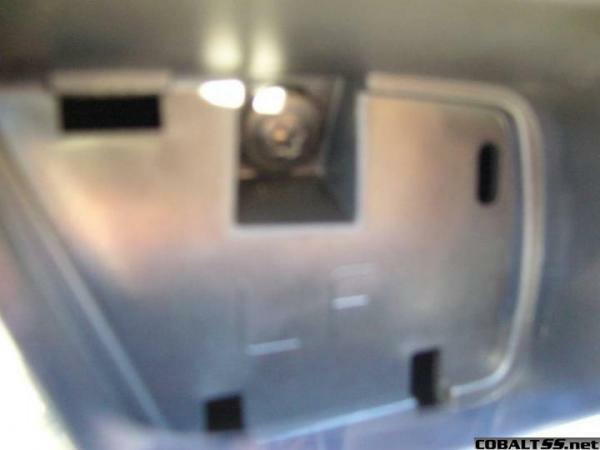 I know this is an old thread but I have a question, did any of you get the power mirrors working besides getting the power windows, power locks and Pioneer tweeters working? There is no mention about hooking up the power mirrors in this thread. By the way, I own a 2010 LS model and I'm getting ready to do this upgrade to my Cobalt. I bought all the parts that I need for the upgrade including the door panels that came from an SS model that happen to match my gray interior. Thanks for the nice write up Double T, I have everything hooked up (installed and wired up well) and working now. The power windows, power locks and power mirrors work just like factory. The Pioneer tweeters are also working great and they go real good with my new Pioneer DVD/CD/bluetooth sound system stereo receiver and my four new Pioneer speakers. Loving the results. 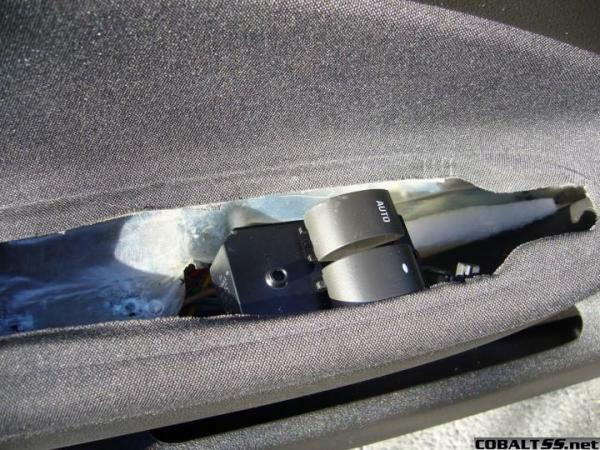 Other upgrade mods I added to my Cobalt include a Viper alarm/remote start system with keyless entry, after market cruise control, center console storage armrest and a cargo net for inside the trunk. When I bought my 2010 Cobalt Coupe new in May 2010, it was a Base/LS model. After all the upgrade mods I did between April 2014 and August 2014, my Cobalt is now considered to be an LS/LT model. It now sure looks and feels like an LT inside my car while I'm driving on the road. Happy driver! I'm not sure why GM still made cars like the Chevrolet Cobalt without power options after 2005? But about half of the Cobalt's, the LT and SS models between 2006 and 2010 have the power options. The LS models between 2006 and 2010 did not have the power options. However the LS model in 2005 had the power options.